Deering Banjos are built in USA. The company is still owned and operated by it’s founder, Greg Deering, who has improved the designs of yesteryear and thereby creating a company which is the largest banjo manufacturing facility in the United States of America. 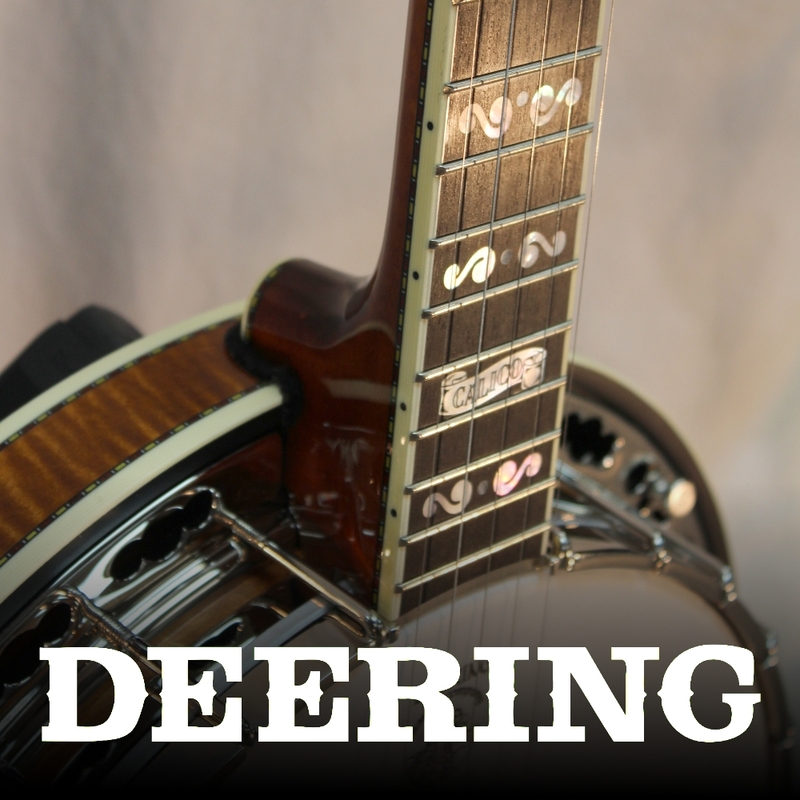 We carry many models of Deering 5 string banjos in stock and do special orders all the time. 6 string banjos and 4 string banjos are also available. This is the same company that produces the Vega banjo as well as the Goodtime banjo. We individually inspect and adjust every new instrument that comes into our store and will be happy to include a free custom setup to your specification.